As the year commenced, you might have set some new goals for yourself as far as finance goes. If one of your new goals refers to dividend trading, the path you might want to consider is dividend growth investing. Your bank account is almost positive to benefit from this initiative, as long as you know what you have to do. Indeed, it takes time, patience, and some studying of the market, but the results will make it all worth it. 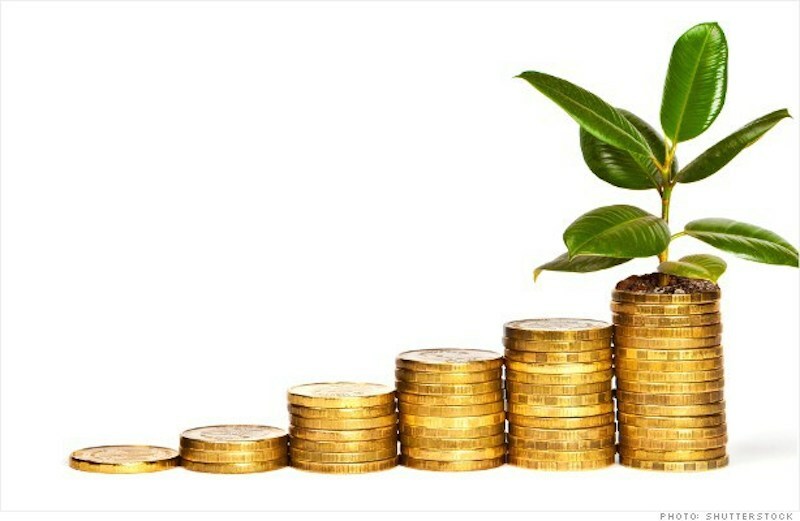 Here are the basic steps, as well as some tips and tricks on how to become a successful dividend growth investor. Why is Dividend Growth Investing a Good Idea? The answer to this question you’ve probably already asked yourself is history. Simply put, if you take a look at this strategy’s historical records, you will notice they are excellent. They usually outperform and this means an almost sure profit for you, the investor. Here are a few examples of dividend growth stocks that have outperformed in the past. This is another reason investing in dividend growth stocks is a better idea. No-growth dividend stocks are called this way because they pay you, the shareholder, the same amount of money in dividends each year. This means that the companies issuing the stocks cannot or will not raise the payments. Consequently, they will always underperform dividend growth stocks. Turning to the numbers once again, from 1972 to 2013, dividend growth stocks have surpassed no-growth dividend stocks by a margin of 2.4% a year. When making this comparison, you will see that dividend stocks have outperformed non-dividend paying stocks in the past 80 years and more. They have returned 10.2% a year, whereas non-divided ones have returned only 8.3% a year. The measurements refer to the period between 1928 and 2013. Finally, the last reason why you should consider investing in dividend growth stocks is that it will minimize your costs. When you buy some shares belonging to big businesses or companies and hold on to them, you skip all the costs related to transactions. You also eliminate the investment management part, which can also be pricy, not to mention sales fees that you normally pay to financial advisors and for mutual funds. This means that, all in all, as long as you hold on to your shares, you won’t be faced with extra costs and you will be receiving an ever-growing income from your dividends. Now that you are perfectly convinced dividend growth investing is the solution for you, here are a few tips on how to get started. To start investing in them, you need to distinguish them. The easiest way would be to invest in the Dividend Aristocrats Index. Simply find the 2016 list and pick a few companies from it. Sort them out by line of business, yield or P/E ratio. This is a shortcut to almost safe investments, but there are other ways as well. There is also the Sure Dividend newsletter. It currently holds more than 180 stocks which have 25+ years of dividend payments, without having reduced them systematically, by using The 8 Rules of Dividend Investing. You can also turn to the Dividend Kings list. It’s an exclusive index that you can use a great source of finding dividend growth stocks as well. It works like the Aristocrats list to some extent. Meaning that, in order to make it to ‘King’ status, companies must have a record of 50 consecutive years of paying increasing dividends. There are only 17 companies in the world that have made the cut, including Coca-Cola, Johnson & Johnson and Procter & Gamble. It’s a known fact in the industry that a very large portion of investors have failed in their attempts because they had no goals or investing convictions. They simply made their way through different investing methods. They based their choices on advice they received or on what was trending one day or another. But that is not the way to go if you wish to be successful. You need to determine what your goals are and then design your strategy based on that. If you goal is to have a steady and forever-increasing income based on divided stocks, then you must invest in dividend growth shares. Just remember not to sell them right away or on a whim. They need to spend some time so that they can gather capital on your behalf. The selection is based on how much the stocks can yield. Many trading experts seem to agree that a portfolio made up of high yield stocks might not be the safest way of achieving your goals. Instead, you can focus on those particular stocks that have a reasonable, rather than high yield. They have a very long history of paying consistently raising dividends. Some of them may even go back as far as 50 consecutive years, as we’ve shown. Here are some more examples of companies your dividend growth investor portfolio should hold. Exxon Mobil Corp. (XOM) – as you probably already know, they formed back in 1999, when Exxon merged with Mobil. They are the biggest publicly owned oil company in the world. Here are their numbers: 2.9% yield, 5.8% dividend growth, 33 consecutive years of increasing dividends. 3M Co. (MMM) – they provide enhanced product functionality in fields such as electronics, health care, office, telecom, and other markets through coatings, sealants, and adhesives. There numbers are: 2.9% yield, 7.7% dividend growth, 57 consecutive years of increasing dividends. Johnson & Johnson (JNJ) – reigns in the pharmaceutical, medical device and consumer products industries. Their numbers show the following: 3.2% yield, 6.6% dividend growth, 53 consecutive years of increasing dividends. You can also include Vanguard, as they have what’s called the Vanguard dividend growth fund investor shares, the ETF or Exchange-Traded Fund, the SPDR funds, an international funds family that includes the US, Canada, and European trading funds, and the TSX. The latter is the Canadian stock exchange, one of the best from a global point of view. As you’ve probably noticed, a lot of the arguments, facts, and tips presented above come from straightforward data. To get accustomed to the trading business and know exactly what you should be investing in, you need to do as much research as possible. Learn about the history of the divided growth markets and businesses, because it’s large. It can present you with a lot of good insights and show you what the possible future courses are. Apart from that, try to stay on top of the news and base your trading predictions on what is happening at the moment. Situations like the recent Volkswagen one or Apple launching a new product have a huge impact in the market. The market fluctuates a lot. The fact that it’s so volatile will definitely test your patience, but that’s normal. Every trader goes through this. You need to keep in mind that dividend growth stocks produce revenue in time, not in a matter of minutes like with the other trading strategies. Your advantage is that your method is a lot safer than the rest and that the only thing you need to do is wait. If you can comply with these steps, if you are on the lookout for a passive type of income, and if you have the discipline required to see it through to success, then dividend growth stocks trading is definitely the solution for you.